MKEK acquired german machineries to manufacture weapons as many middle-eastern industries did (as DIO of Iran and POF of Pakistan). 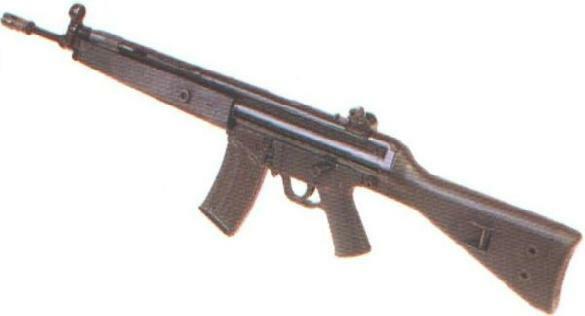 The OPT-556 is a turkish copy of the german HECKLER&KOCH HK33 assault rifle. It fires the 5'56x45mm NATO cartridge, feeding from a 30-rounds magazine. It features an S-1-3-20 trigger group and a fixed plastic buttstock. It is the standard assault rifle for the Turkish army.